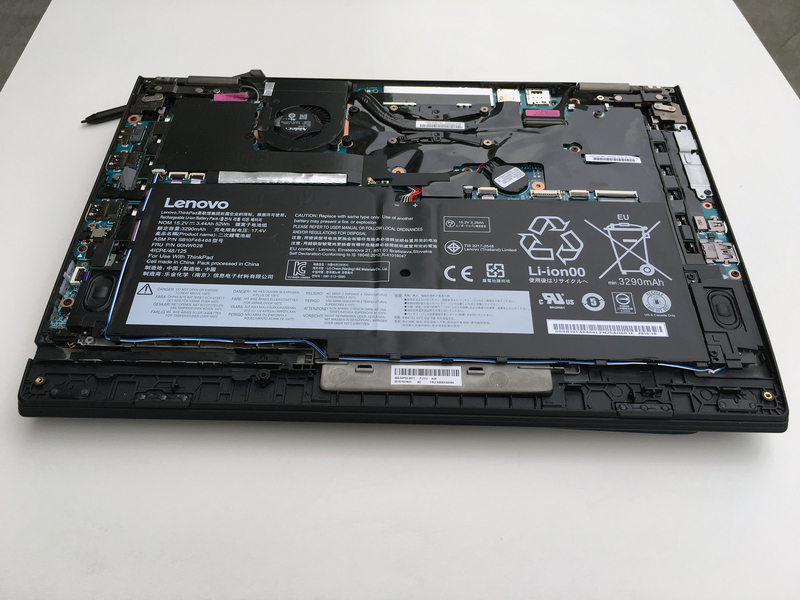 With splicing the genes of the well-known ThinkPad series and the ones of the Yoga family, Lenovo has created a truly amazing 2-in-1 device but this will cost you accordingly. 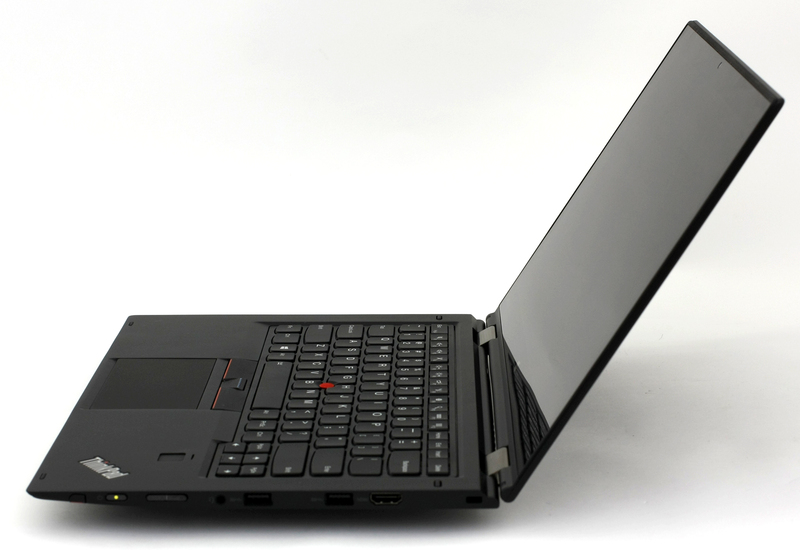 Basically, the notebook is based on the ThinkPad X1 Carbon but with the added touchscreen, Wacom pen, and 360-degree rotatable hinge. So if you liked the X1 Carbon, you will definitely like this one as well, regardless of the absence of real carbon fiber in the construction. 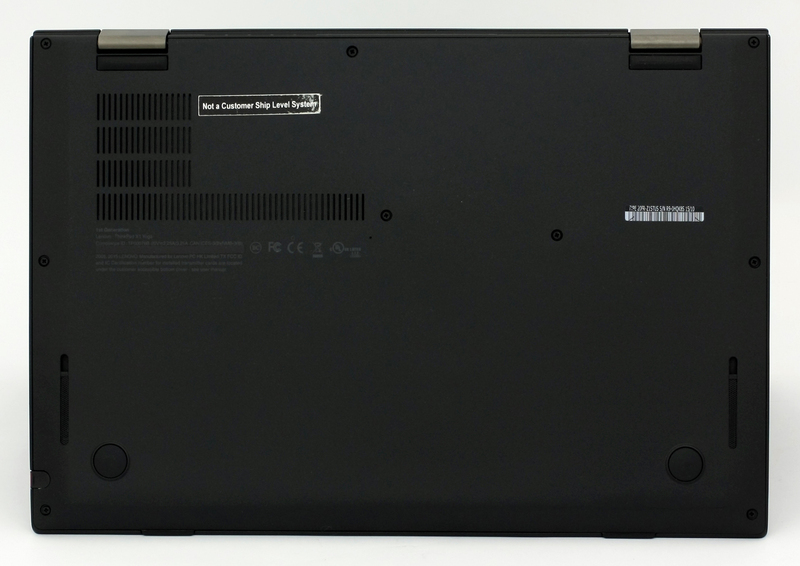 Yet, Lenovo promises extraordinary sturdiness without sacrificing the portability making the machine capable of withstanding really harsh (military-grade) conditions and the lightest and thinnest 14-inch 2-in-1 business convertible on the market. The notebook even puts to shame some 13-inch models and we can easily put the device in the same category as Dell XPS 13 (detailed review) and Toshiba Satellite Radius 12 (detailed review) although both rivals feature smaller screen size. Anyway, the laptop comes with the latest Skylake Core i5 and Core i7 processors, up to 16GB of DDR3 RAM, Intel HD Graphics 520 as iGPU and the support for up to 512GB of PCIe NVMe SSD sticks for blazingly fast data transfer. Also, the OEM is offering three different screen variants – conventional Full HD (1920×1080) IPS, WQHD (2560×1440) IPS and… WQHD (2560×1440) OLED. Yes, you read that right. Lenovo is planning to release an OLED version of the ThinkPad X1 Yoga this year and this might actually be one of the first laptops with OLED screens. However, the price of the OLED version will be $1650 and without any hardware upgrade over the base model, so yeah, it’s going to be pretty expensive. We are also expecting an OLED version of the Alienware 13, HP Spectre x360 13-inch and Samsung Galaxy TabPro S. All four devices share the same OLED panel coming from Samsung and will be released this spring. Nevertheless, let’s not get carried away and focus on what’s important here – the ThinkPad X1 Yoga and its overall performance in terms of battery life, raw performance, temperatures and image quality. Since we are reviewing an engineering sample, we can’t be sure what the package will contain as our unit came without a box or even a charger. 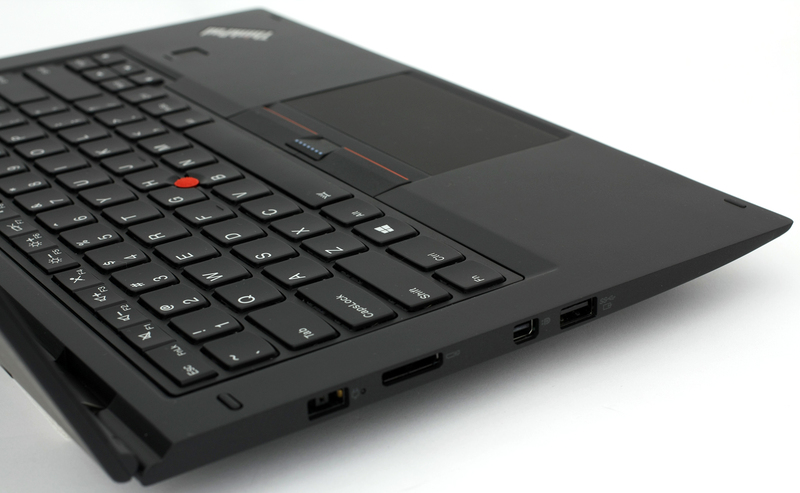 As we already said, the notebook is based on the ThinkPad X1 Carbon, but that’s more design-wise – you either like the simplistic modest matte black finish with sharp edges and corners or you don’t. 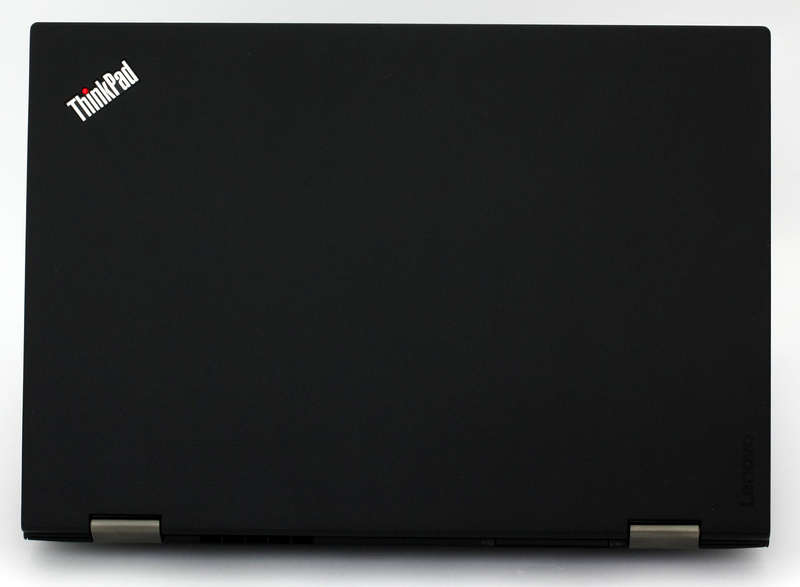 If you are a fan of the ThinkPad series, you will definitely relate to this one as well. And as Lenovo claims, the 14-inch device easily beats most of the 13-inch ultrabooks weighing just 1.27 kg and just 16.8 mm thin. Pretty impressive isn’t it? While carbon fiber was the main material used for the making of the X1 Carbon, this time around it’s used only for the lid making it extremely durable – it bends ever so slightly under heavy pressure so rest assured that the LCD screen will be intact in any situation. 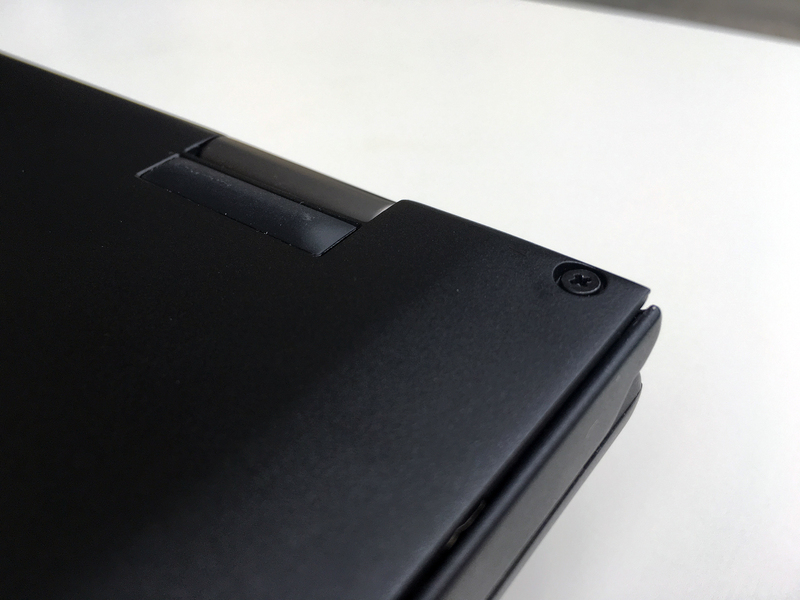 Hinges are not the in line with the usual high-end Yoga design but instead use the ones that we find on the Yoga 500, Yoga 510, Yoga 710 etc. Nonetheless, they appear to be made of metal and feel tightly pulled after about 45-degree incline. In other words, the lid can be lifted pretty easily but then you will have to use both hands to fully open the ultrabook. 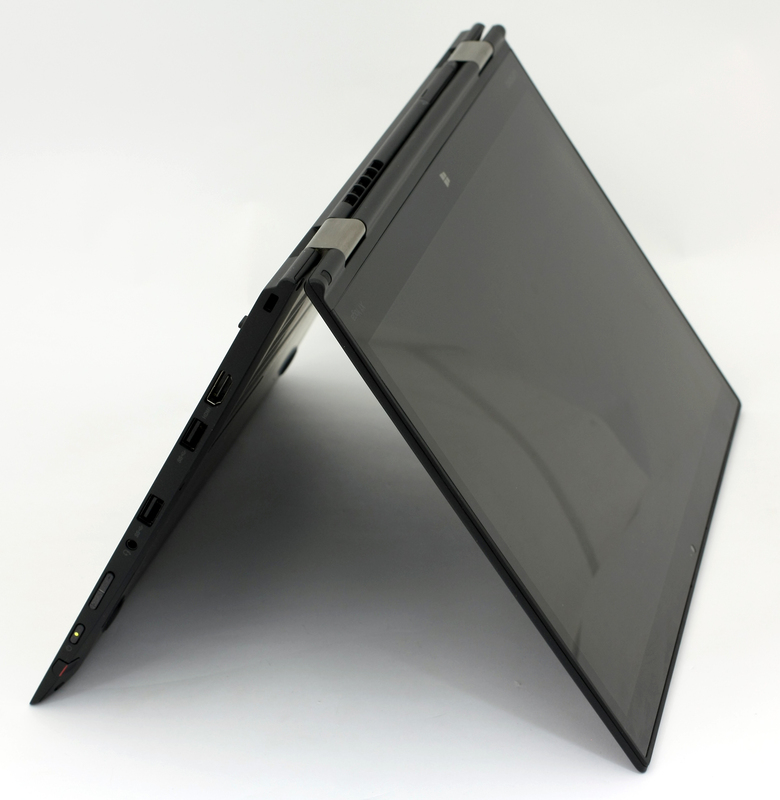 This prevents some excessive wobbling while using the touchscreen in laptop mode but like most 2-in-1 devices, the ThinkPad X1 Yoga still suffers from the annoying wiggling effect. As for the bottom piece, it adopts only two grills for extra airflow and two loudspeaker openings on the sides. 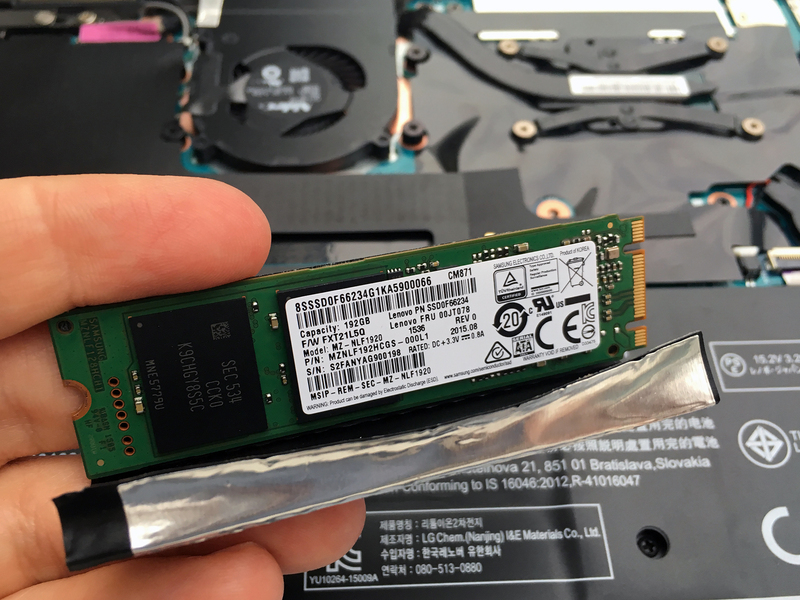 Just a few screws keep the notebook closed so if you need to change the M.2 SSD stick, it won’t be a hassle. 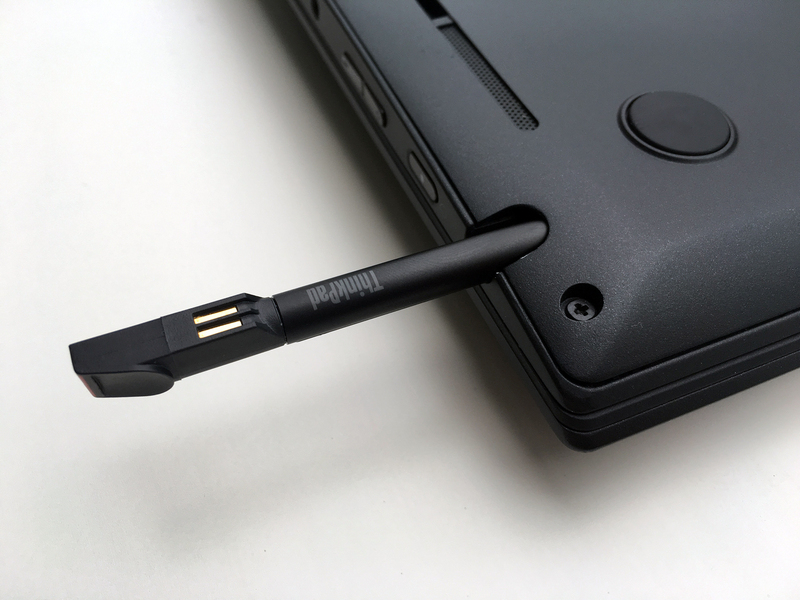 Despite the incredibly thin profile (16.8 mm), the ThinkPad X1 Yoga boasts more connectivity options than some 15-inchers along with a very “healthy” port distribution. The left side contains the DC charging port, OneLink+ port for your extra peripherals, mini DisplayPort (kudos for this one) and a normal USB 3.0 connector. On the right, you will find the HDMI, two USB 3.0 ports and a 3.5 mm combo audio jack. Near the front, you will also see the power button and volume rocker, which is positioned there in case you want quick access to the volume controls while in tablet mode. The former, however, is a bit hard to feel as it’s not protruding and just aligns with the flat side. There’s also the pen, manufactured by Wacom, which is a bit tricky to get out but offers two functional buttons and exceptionally natural feel when writing on the screen. It really feels like using a normal pen instead of a stylus. Unfortunately, the USB-C 3.1 port is nowhere to be found while most of its competitors make way to the future-proof connector. This, of course, might not be a big issue to most because the USB Type-C standard isn’t adapting as fast as it should. Still, it would have been nice to pair the ThinkPad X1 Yoga with one of those crisp and delicious ThinkVision external displays. 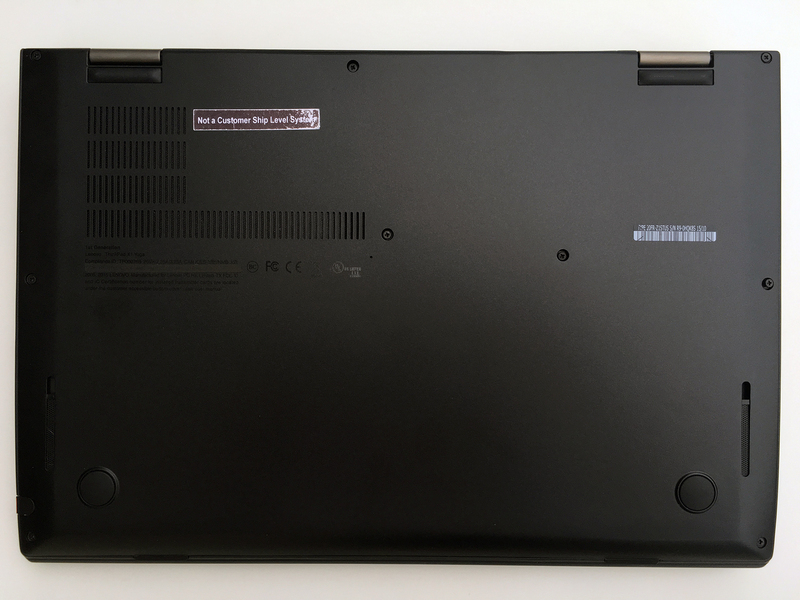 The interior uses the same black matte finish as the lid but Lenovo claims that the base is made of aluminum and magnesium alloy and it’s not hard to believe it since the notebook has passed a good amount of military standards, feels exceptionally robust and the weight is pretty low. The palm rest area and the keyboard tray feel good and don’t give in under weight. Also, the keyboard feels pretty big for a 14-incher with enough spacing and long enough key travel. It’s what you’d normally expect from a ThinkPad device whatsoever. 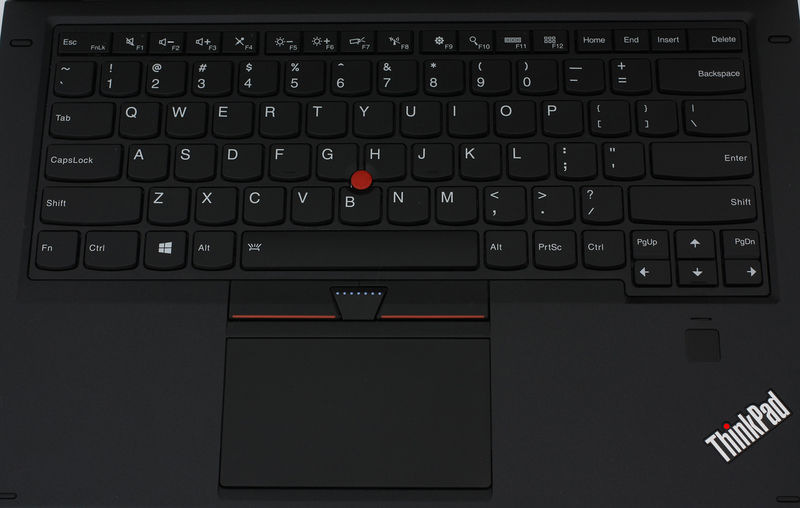 Of course, it features an LED backlight and the Fn key positioning might feel pretty strange to those of you who are new to the ThinkPad but the die-hard fans will still love the layout typical for the series. 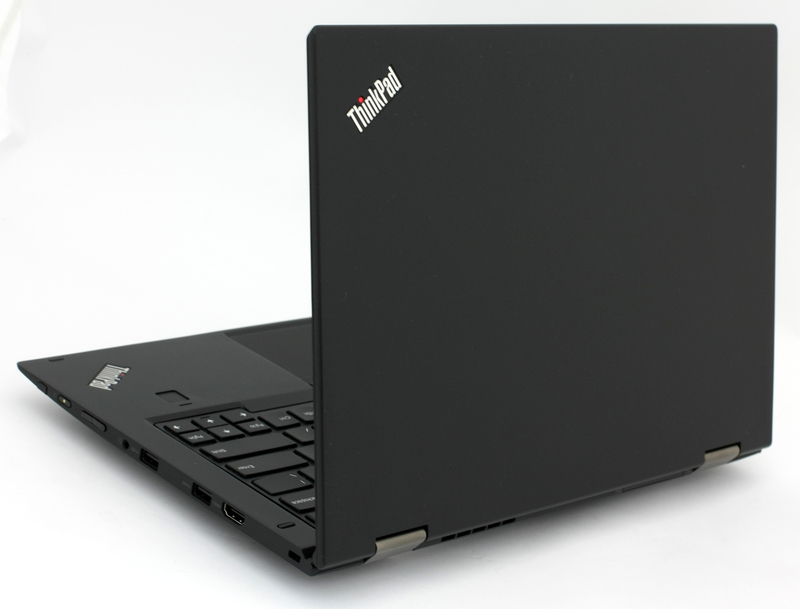 ThinkPad fans are actually the ones that don’t take changes so lightly. Anyway, the touchpad finish feels awesome – we bet it’s a glass surface – but also offers soft tactile feedback on every click. 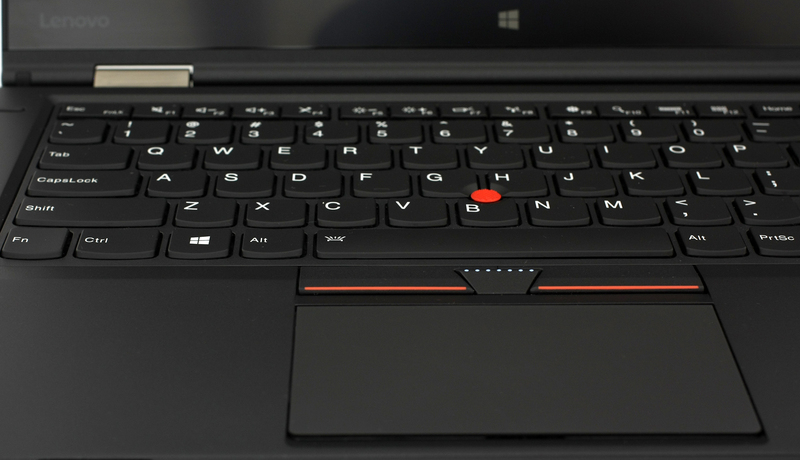 The trackpad registers every touch and swipe with great accuracy but if you are not a fan of those, you can always stick to the iconic red TrackPoint in the middle of the keyboard along with the three mouse buttons positioned between the space key and the trackpad area. An interesting change is the design of the fingerprint sensor, which is now much easier to feel and faster to use. It appears that the ThinkPad and Yoga polymorphing experiment is a big hit. Yes, the 14-inch device might be considered as a bit big for a tablet mode use but it gives a great flexibility and convenience while presenting or working on-the-go and besides, the ThinkPad X1 Yoga puts to shame some 13-inch ultrabooks in terms of dimensions and weight. 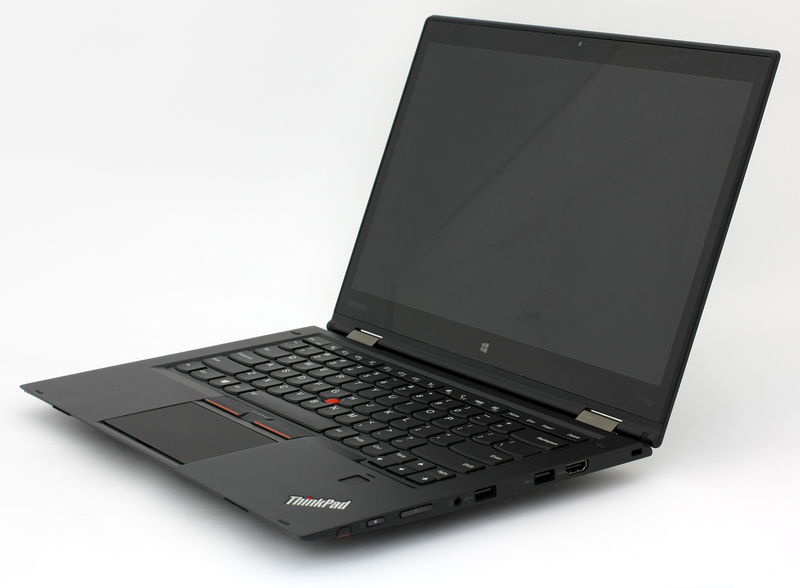 The incredibly robust construction is another great advantage of the notebook inheriting the excellent ThinkPad build along with the comfortable input devices. However, we were mostly impressed by the neat feature, which detracts the keys when flipping the screen in tablet, tent or presentation mode so you won’t accidentally press a key. So in other words, we give it an A+ as far as build quality and design goes but how’s the rest of the hardware? 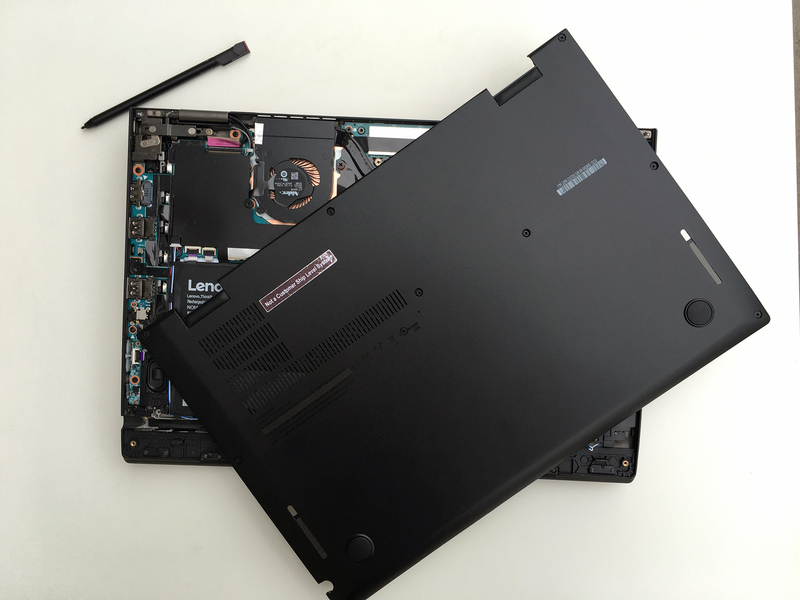 The notebook is just as easy to disassemble as the ThinkPad X1 Carbon. The bottom plate easily comes off when unscrewed. It gives access to most of the internals. 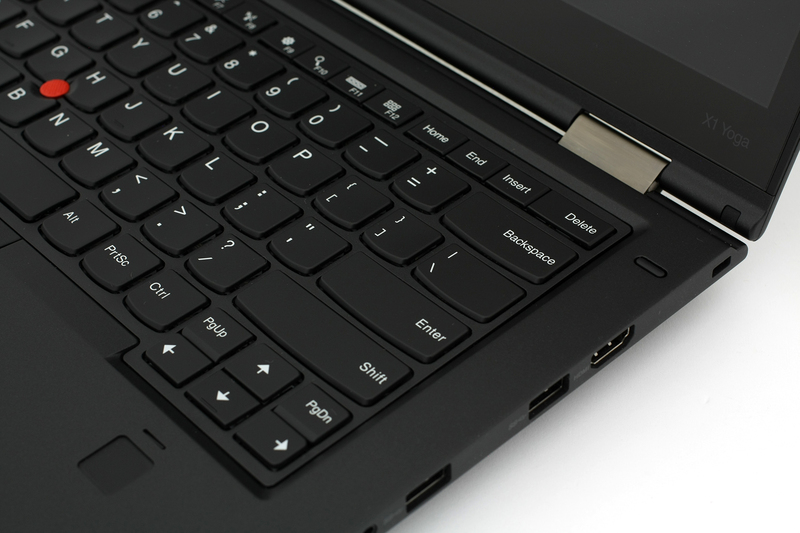 As a typical convertible ultrabook, the device offers only M.2 SSD slot supporting M-edge and B&M-edge connectors, 2280 size and uses NVMe controller allowing ultra-fast data transfer and read speeds. The one that came in our unit doesn’t use the NVMe controller but it’s still from Samsung. The retail units surely feature M.2 PCIe NVMe SSDs. 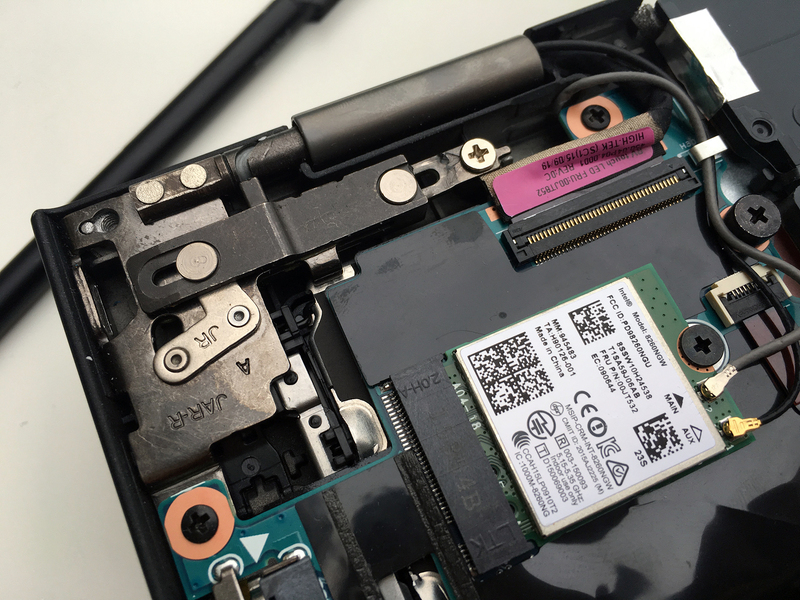 You can see in the photo below the Wi-Fi module with model number 8269NGW by Intel. It features 2×2 Wi-Fi and Bluetooth 4.1 connectivity. 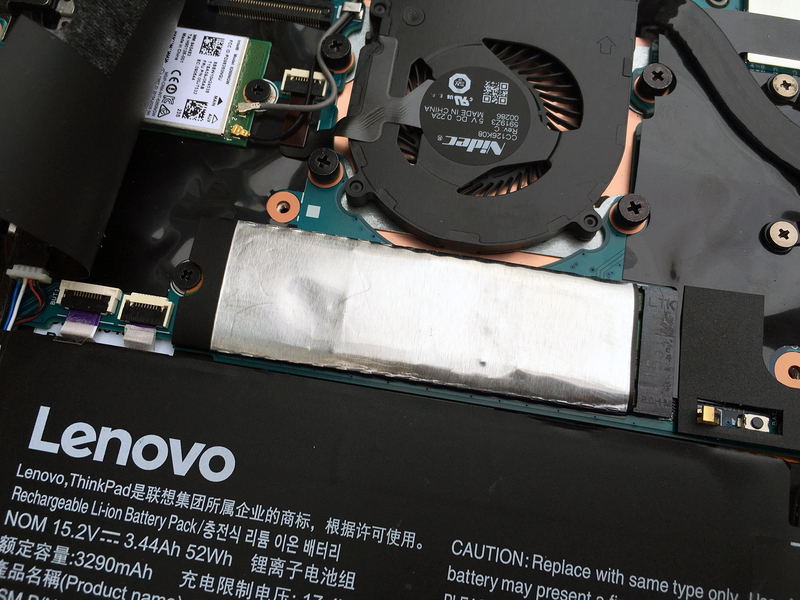 The unit houses a 52Wh battery – kind of impressive given the dimensions of the ThinkPad X1 Yoga. There’s nothing unusual of the cooling system and it performed really well in our temperature tests. Lenovo ThinkPad X1 Yoga features a multi-touch Full HD IPS panel with glossy finish from AU Optronics with model number B140HAN01.8. The 1920×1080 pixels resolution is packed in a 14-inch diagonal leading to a pixel density of 157 ppi and 0.161 x 0.161 pixel pitch. It can be considered as “Retina” when viewed from a distance equal or greater than 56 cm. It has comfortable viewing angles when tilted at 45-degree angle. We’ve recorded 319 cd/m2 maximum luminance in the center of the screen and 299 cd/m2 is the average. The maximum deviation is on the upper-right of the screen – 13%. Color temperature is 6600K in the middle and 6530K average which aligns almost perfectly with the optimal 6500K. We also measured the maximum color deviation dE2000 – 3.8. 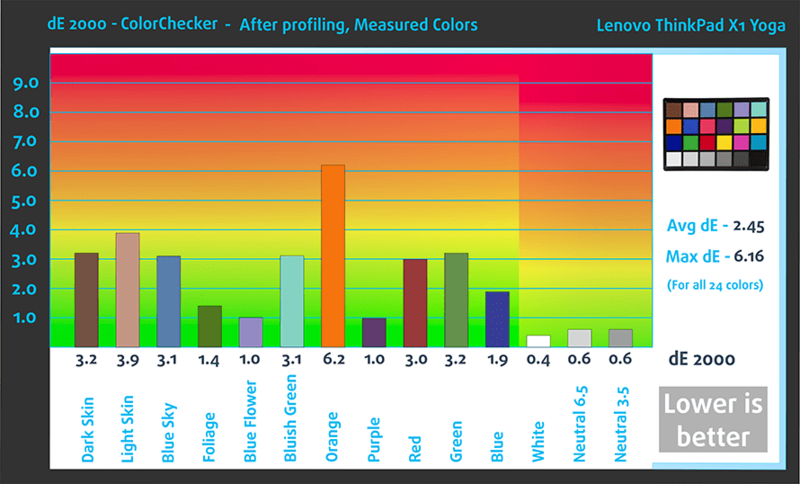 ThinkPad X1 Yoga’s display covers 90% of the sRGB color space guaranteeing punchy colors. The contrast ratio is 1330:1 before and 1230:1 after calibration. Both results are excellent. Colors appear to be accurate without any further calibration but the gamma is a bit off. Dark images will be even dimmer while parts of the bright images will be brighter. After calibration, the latter can be corrected. The profile sets 140 cd/m2 luminance, D65 color temperature and sRGB gamma. We have good news regarding PWM – the panel doesn’t flicker at all. It can be used for longer periods without any negative effect on one’s eyesight. We have some excellent display properties at hand. 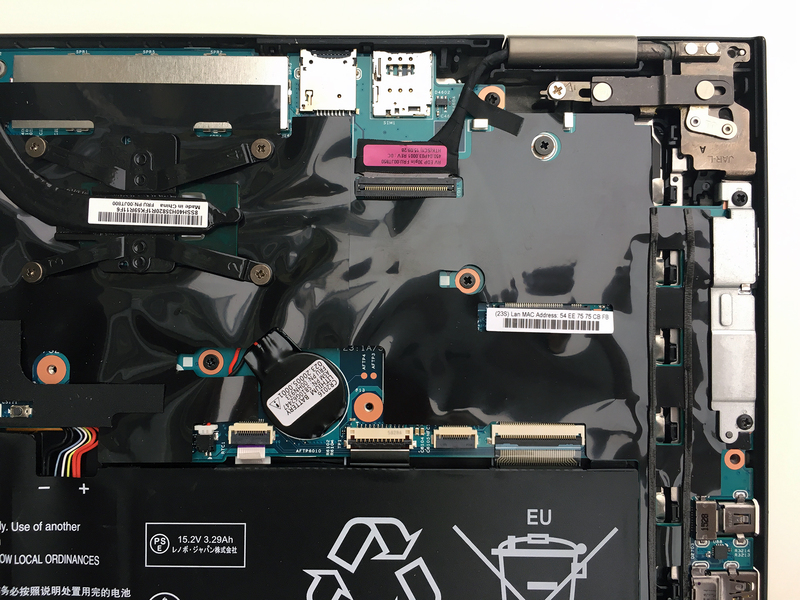 The notebook’s panel matches the higher-end nature of the device with good sRGB coverage, excellent contrast ratio, relatively high maximum brightness and no usage of PWM across all brightness levels, which is one of the most important factors. The sound quality at hand is good through all frequencies, except for the lower ones. There’s a barely noticeable distortion at low frequencies. 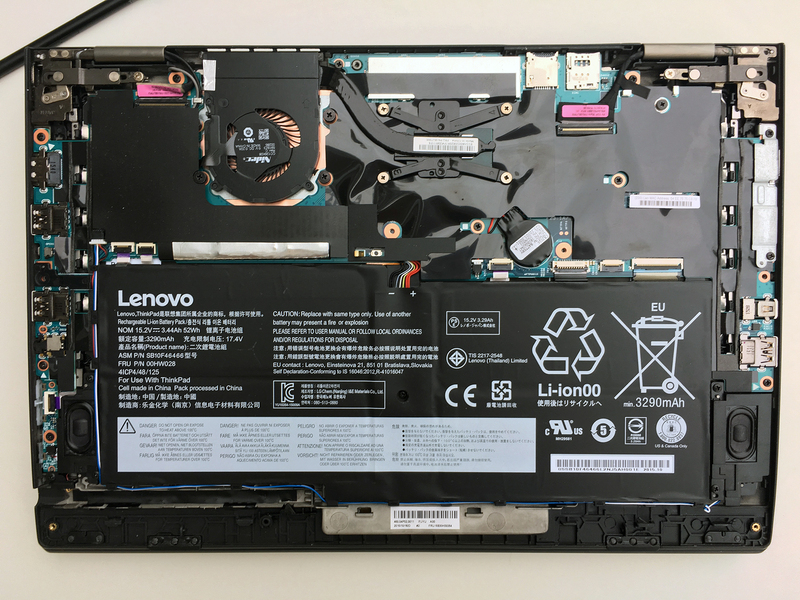 The notebook we’ve tested came with pre-installed Windows 10 (64-bit) but if you wish to perform a clean install of the OS, you can find all the needed drivers at Lenovo’s official support page. 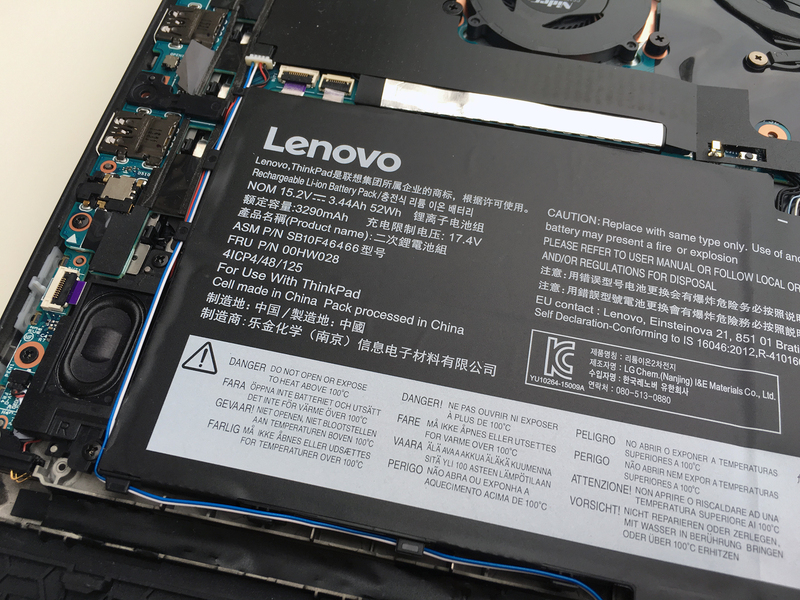 We are more than satisfied with Lenovo’s battery life, which proves that higher battery capacity is still the most reliable way to go when you are building a long-lasting device. The 52Wh battery was able to get the 14-inch Full HD IPS panel along with the ultra-low voltage Intel Core i5-6200U CPU ahead of some competitors in terms of battery performance. We ran the usual Wi-Fi browsing, video playback and gaming tests with the following settings: Wi-Fi turned on all times, power saver turned on and screen brightness set to 120 cd/m2. Excellent battery runtime on the Wi-Fi browsing test – 489 minutes (8 hours and 9 minutes). Even better result – 563 minutes (9 hours and 23 minutes). The notebook isn’t intended for gaming, let alone away from the charger but we run this test for evaluation reasons 268 minutes (4 hours and 28 minutes) of play time. 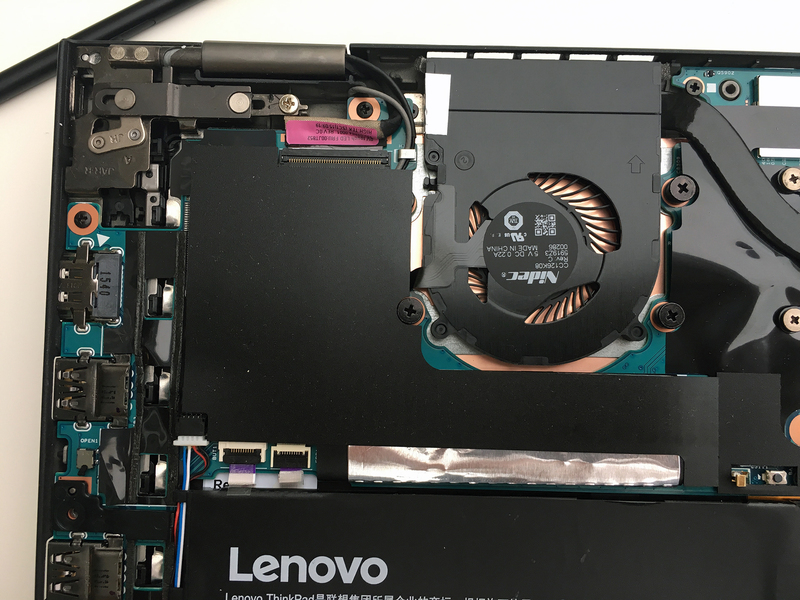 Here you can see an approximate comparison between the CPUs that can be found in the Lenovo ThinkPad X1 Yoga (1st Gen) models on the market. This way you can decide for yourself which Lenovo ThinkPad X1 Yoga (1st Gen) model is the best bang for your buck. The stress tests we do usually don’t translate into a real-life usage simulation because the general user can’t reach 100% CPU + 100% GPU load. Yet, it’s still a good way to assess the stability of the system and how the notebook will do in the long run. We kick things off with 100% CPU load for about an hour and the silicon maintained relatively low temperatures under load (78 °C) and at idle (29 °C) while executing the full potential of the two cores – 2.7 GHz. 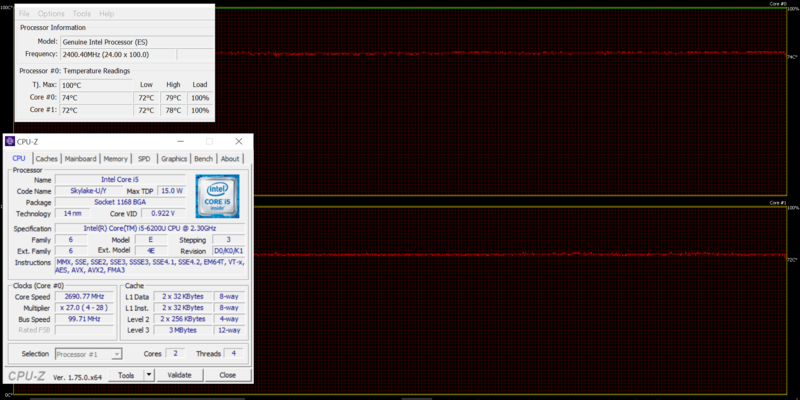 You can see the red line below representing the temperatures and the green line for CPU load. Things didn’t change a bit even when we turned on the GPU torture test as well. 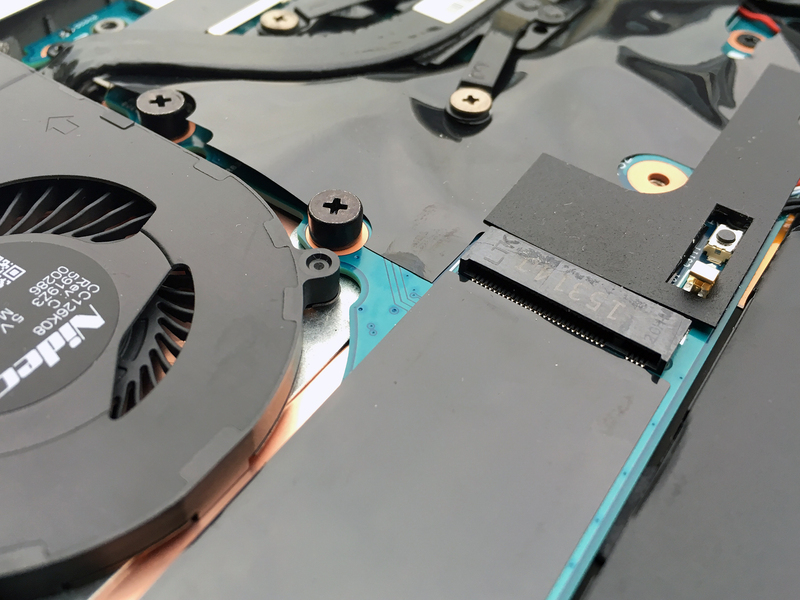 It’s not very often for an ultrabook, or a notebook with integrated GPU, to maintain maximum operating frequency of the CPU and the iGPU as well. The notebook’s surface was cool throughout the whole test even under heavy and 2-hour long workload. In terms of battery and screen performance, the notebook excels in both as well – the former is pretty good and we expect it to be even better in the final unit while the latter is more than enough for an excellent multimedia experience. Keep in mind, though, the QHD version will most likely perform slightly worse. We also can’t miss mentioning the wide variety of ports packed in the thin and compact base as well as the ultra-fast M.2 PCIe NVMe SSD. However, the USB Type-C port isn’t present while most of the devices out there are starting to adopt the new standard. Along with the latter, the X1 Yoga has one more, considerable drawback – it’s definitely pricey. Still, this is the price to pay for a reliable, portable, versatile and premium notebook. Nice review thanks! Any idea when the oled screen will be ready? They said in April….now it’s June and haven’t seen it yet..
Rolf, I ordered my OLED version July 1 and it is scheduled to ship around July 18th as I had requested the 512 Ssd and stocks were low. A more standard config might ship faster. I went with the 6700 i7 chipset and 16 gb as well. Nice, but…i was looking for the path to increase the Ram and you guys only focused the publication in the bottom part and not the Ram upper underkeyboard part ¬¬, thanks for nothing. Excellent detailed, technically sophisticated review. Thank you. 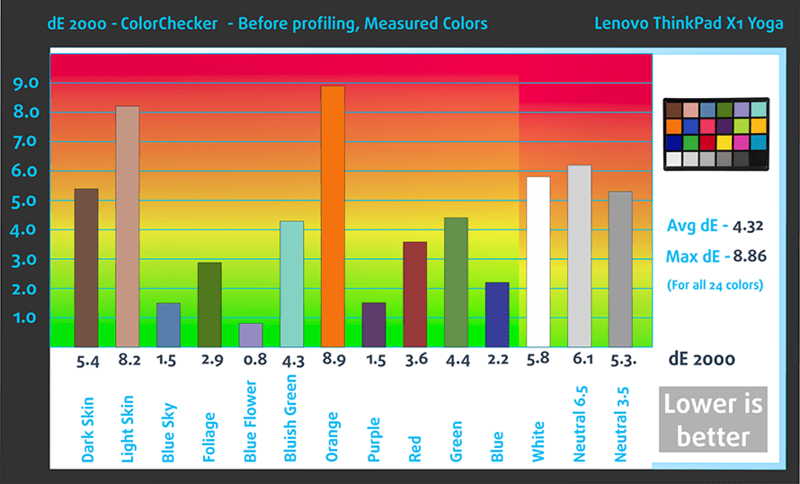 I especially appreciated the well explained color performance information, and the very broadly competent coverage. I read a lot, lot of laptop reviews and never have left a reply but was compelled because this review was very rare to find (not many others) and it was one of the most interesting thorough plain speaking, and informative reviews I have read on any laptop. Thank you for your great work.